“So, how much is this going to cost me?” everyone asks. Depending on the case, that can be a hard question to answer. At the outset, I track my time at an hourly rate while I obtain disclosure, do a preliminary analysis of the case, and get a sense of what we are dealing with and what will be involved in terms of court time and preparation. Once those steps are completed, I am often able to quote clients a “flat, fixed fee” for the remainder of the case. In less serious or commonplace cases, I can often quote a fee in an initial meeting just on the basis of the documents you’ve been given by the police and what you tell me and ask that you provide a “retainer” – all or part of the quoted fee – into my trust account. In more complex or serious cases where it is essential that I obtain a degree of disclosure from the Crown Prosecutor and undertake an assessment prior to quoting a fee, I simply ask for retainer for deposit into trust against which I bill at an hourly basis during the initial, or “intake” process. Once those funds are received in trust, I will begin to act for you. Note: If your case is a serious one that involves a “two stage” proceeding, that is, with a Preliminary Inquiry in Provincial Court and a Trial in Supreme Court, a fee arrangement will initially be quoted for the Preliminary Inquiry. 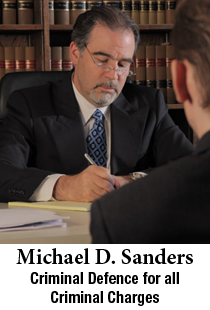 Once the Preliminary Inquiry is completed, a fee will be quoted for Trial. Once a fee is quoted, all fees, taxes and major anticipated disbursements are payable in advance, without exception. That money is deposited into a Trust Account and held as security until an account for services rendered is delivered to you. Then, and only then, is money transferred out of Trust and into our General Account. Payment plans are available on approval. Full payment must be received three months prior to the scheduled Trial or Preliminary Inquiry date.